Pastor Kerry Leeper. We are truly blessed to receive this appointment of Pastor Kerry to begin as our Pastor on July 1. Pastor Kerry has served in churches since 1992 and is an ordained elder in the United Methodist Church. He has gained conflict resolution skills, experience with preaching and leading at both contemporary and traditional worship, experience leading staff, and an understanding of the importance of spiritual growth as a catalyst for mission. He is a listener and a relationship builder. Pastor Kerry is a graduate of Messiah College and Evangelical Theological Seminary with an M.Div. and a MAR with a focus on Marriage & Family Counseling. Pastor Kerry is married to Michell and they have 2 cats. He enjoys family and enjoys his niece and nephew. We welcome Pastor Kerry and his family to MCC! Bruce Heydt graduated from West Chester State College in 1980 with a Bachelor’s Degree in English. For the first 23 years of his professional life he pursued a career in publishing and his articles have appeared in magazines such as British Heritage, Country Journal, American History Illustrated, Historic Traveler, and Christian History & Biography. 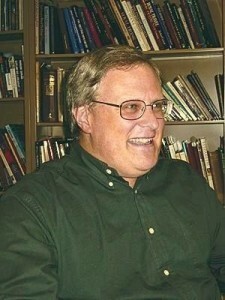 In 2005 Bruce left the publishing business to join the staff of Millersville Community Church. He serves as Teaching Pastor, Director of Adult Discipleship Ministries, and Outreach Director. He preaches each week at MCC’s three campuses, as well as at the monthly service of prayer and healing. He leads several small group studies each year and is active in the Penn Manor Homes of Hope Ministry, as well as many other Millersville Community Church service ministries. Bruce lives in Mount Joy with his wife Susan. 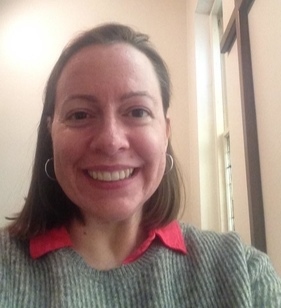 Sarah Hamblin was hired as the Souljourn (Contemporary Worship) Coordinator in 2000 and later added on the Pastor’s Administrative Assistant position. She utilizes her God-given talents to create and organize the presentations, scripts, skits, decorations, videos, and technical aspects of worship. She also manages the completion of the UMC conference forms for the lead pastor. Sarah graduated from Messiah College with a Bachelor of Arts degree in Technical Theatre. She and her husband Marshall enjoy traveling and spending time with their 9 god-children and numerous nephews and nieces. Sean Cox has been the worship leader for our contemporary service since May of 2015. In addition to leading our worship band each week he also selects songs for each service, organizes special concerts and evenings of worship and strives to give those who attend connection with the spirit through music. Recently he has begun managing our facebook and website as well. He graduated from Eastern University in 2013 with a B.A. in Music Composition. Outside of MCC Sean is a very active singer-songwriter performing in many places up and down the east coast. He and his wife Victoria love to traveling to new places and thrive on experiencing new people, food and culture.